Furnished as Exhibit 99.1 hereto and incorporated into this Item 7.01 by reference is a copy of an updated investor presentation, dated January 14, 2019, that will be used by GTY Technology Holdings Inc. (“GTY” or the “Company”) in connection with its previously announced proposed initial business combination (the “Business Combination”) with Bonfire Interactive Ltd., CityBase, Inc., eCivis, Inc. (“eCivis”), Open Counter Enterprises Inc., Questica Inc. and Questica USCDN Inc. and Sherpa Government Solutions LLC (collectively, the “Targets”). The information in this Item 7.01, including Exhibit 99.1, is being furnished and shall not be deemed “filed” for purposes of Section 18 of the Securities Exchange Act of 1934, as amended (the “Exchange Act”), or otherwise be subject to liabilities under that section, and shall not be deemed to be incorporated by reference into any filing under the Securities Act or the Exchange Act, regardless of any general incorporation language in such filings. 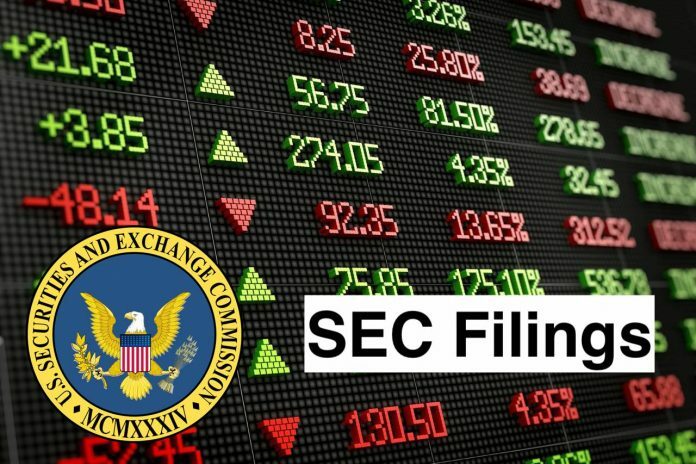 In connection with the Business Combination, GTY Govtech Inc., a wholly owned subsidiary of the Company (“New GTY”), has filed a Registration Statement on Form S-4 (the “Registration Statement”) with the U.S. Securities and Exchange Commission (the “SEC”), which includes a preliminary proxy statement/prospectus, relating to (i) an extraordinary general meeting of shareholders of GTY to vote upon, among other things, the Business Combination (the “shareholder meeting”) and (ii) an extraordinary general meeting of public warrant holders of GTY to vote upon, among other things, a proposed amendment to the warrant agreement governing the Company’s warrants (the “Warrant Agreement”) (such meeting of the public warrant holders of GTY, the “warrant holder meeting”). After the Registration Statement becomes effective, GTY will mail a definitive proxy statement/​prospectus and other relevant documents to its shareholders in connection with the shareholder meeting and the warrant holder meeting.The Company’s shareholders, warrant holders and other interested personsare advised to read, when available, the preliminary proxy statement/prospectus included in the Registration Statement and the amendments theretoand the definitive proxy statement/prospectus and documents incorporated by reference therein filed inconnection with the Business Combination and the proposed amendment to the Warrant Agreement, as these materials will contain important informationabout the Targets, the Company, the Business Combination and the proposed amendment to the Warrant Agreement. The definitive proxy statement/prospectus and other relevant materials for the Business Combination and the proposed amendment to the Warrant Agreement will be mailed to shareholders and warrant holders of the Company as of a record date to be established for voting on the Business Combination and the proposed amendment to the Warrant Agreement. Shareholders and warrant holders will also be able to obtain copies of the preliminary proxy statement/prospectus, the definitive proxy statement/prospectus and other documents filed with the U.S. Securities and Exchange Commission (the “SEC”) that will be incorporated by reference therein, without charge, once available, at the SEC’s web site at www.sec.gov, or by directing a request to: GTY Technology Holdings Inc., 1180 North Town Center Drive, Suite 100, Las Vegas, Nevada 89144, Attention: Harry L. You, (702) 945-2898. GTY and its directors and executive officers may be deemed participants in the solicitation of proxies from GTY’s shareholders and warrant holders with respect to the shareholder meeting and warrant holder meeting. A list of the names of those directors and executive officers and a description of their interests in GTY is contained in New GTY’s proxy statement/prospectus on Form S-4, which was filed with the SEC and is available free of charge at the SEC’s web site at www.sec.gov, or by directing a request to GTY Technology Holdings Inc., 1180 North Town Center Drive, Suite 100, Las Vegas, Nevada 89144, Attention: Harry L. You, (702) 945-2898. Additional information regarding the interests of such participants are contained in the proxy statement/prospectus on Form S-4 relating to the shareholder meeting and warrant holder meeting. The Targets and their directors and executive officers may also be deemed to be participants in the solicitation of proxies from the shareholders and warrant holders of GTY in connection with the shareholder meeting and warrant holder meeting. A list of the names of such directors and executive officers and information regarding their interests in the shareholder meeting and warrant holder meeting are included in the proxy statement/prospectus on Form S-4 relating to the shareholder meeting and warrant holder meeting. This Current Report on Form 8-K and the Exhibits hereto include “forward-looking statements” within the meaning of the “safe harbor” provisions of the Private Securities Litigation Reform Act of 1995. The Company’s and each Target’s actual results may differ from their expectations, estimates and projections and consequently, you should not rely on these forward looking statements as predictions of future events. Words such as “expect,” “estimate,” “project,” “budget,” “forecast,” “anticipate,” “intend,” “plan,” “may,” “will,” “could,” “should,” “believes,” “predicts,” “potential,” “continue,” and similar expressions are intended to identify such forward-looking statements. These forward-looking statements include, without limitation, the Company’s and the Targets’ expectations with respect to future performance and anticipated financial impacts of the Business Combination, the satisfaction of the closing conditions to the Business Combination and the timing of the completion of the Business Combination. These forward-looking statements involve significant risks and uncertainties that could cause the actual results to differ materially from the expected results. Most of these factors are outside of either the Company’s or the Targets’ control and are difficult to predict. Factors that may cause such differences include, but are not limited to: (1)the occurrence of any event, change or other circumstances that could give rise to the termination of any of the Transaction Documents or could otherwise cause a Business Combination to fail to close; (2)the outcome of the New York and California lawsuits among the Company, OpenGov, Inc. and the other parties thereto, as well as any other legal proceedings that may be instituted against the Company or a Target in connection with the Transaction Documents and the Business Combination; (3)the inability to complete a Business Combination, including due to failure to obtain approval of the shareholders of the Company or other conditions to closing in the Transaction Documents; (4)the inability to complete the proposed amendment to the Warrant Agreement, including due to the failure to obtain the approval of the warrant holders of the Company; (5)the receipt of an unsolicited offer from another party for an alternative business transaction that could interfere with a Business Combination; (6)the inability to obtain or maintain the listing of New GTY’s common stock on The Nasdaq Stock Market following the Business Combination; (7)the risk that a Business Combination disrupts current plans and operations as a result of the announcement and consummation of the Business Combination; (8)the ability to recognize the anticipated benefits of a Business Combination, which may be affected by, among other things, competition, the ability of the combined company to grow and manage growth profitably and retain its key employees; (9)costs related to the Business Combination; (10) changes in applicable laws or regulations; (11) the possibility that a Target or the post-combination company may be adversely affected by other economic, business, and/or competitive factors; (12) any government shutdown, such as the federal government shutdown which commenced in December 2018, which impacts the ability of the Targets’ customers to purchase the Targets’ products and services; and (13) other risks and uncertainties indicated from time to time in the proxy statement/prospectus on Form S-4 relating to the Business Combination, including those under “Risk Factors” therein, and in the Company’s other filings with the SEC. The Company cautions that the foregoing list of factors is not exclusive. The Company cautions readers not to place undue reliance upon any forward-looking statements, which speak only as of the date made. The Company does not undertake or accept any obligation or undertaking to release publicly any updates or revisions to any forward-looking statements to reflect any change in its expectations or any change in events, conditions or circumstances on which any such statement is based. This Current Report on Form 8-K shall not constitute a solicitation of a proxy, consent or authorization with respect to any securities or in respect of the Business Combination. This Current Report on Form 8-K shall also not constitute an offer to sell or the solicitation of an offer to buy any securities, nor shall there be any sale of securities in any states or jurisdictions in which such offer, solicitation or sale would be unlawful prior to registration or qualification under the securities laws of any such jurisdiction. No offering of securities shall be made except by means of a prospectus meeting the requirements of Section 10 of the Securities Act, or an exemption therefrom. GTY Technology Holdings Inc. is a blank check company. The Company was formed for the purpose of effecting a merger, share exchange, asset acquisition, share purchase, reorganization or similar business combination with one or more businesses. The Company will seek to capitalize on the significant experience and contacts of its management team in consummating an initial business combination. The Company intends to identify, acquire and operate a business in the technology industry, including software and services that may provide the opportunity to unlock the value of a private company and provide opportunities for an attractive risk adjusted return to its shareholders. The Company is a Cayman Islands exempted company. As of October 26, 2016, the Company had conducted no operations. As of October 26, 2016, the Company had not generated any revenues.